Dottie Tarleton joined Stirling Properties in 1990 and opened the company’s Baton Rouge office that same year. For many years, she was licensed in the states of Texas, Louisiana, and Mississippi. In 2016, she decided to focus specifically on Louisiana, where she is a resident. Currently, she serves as Senior Broker Associate in Baton Rouge, focusing on opportunities throughout Louisiana, with major emphasis in the Baton Rouge Metro and South Louisiana. Dottie’s area of expertise and focus for the past 27 years has been the retail market, including ground-up development, landlord and tenant representation, single tenant representation, leasing, sales, and development. Ms. Tarleton is a member of the Baton Rouge Board of Realtors where she served as President of the Commercial Investment Division in 1999. That same year she was named Commercial Broker of the Year. Additionally, she was the keynote speaker for the retail component of the Annual Trends in Real Estate Conference in Baton Rouge from 1997–2007, with attendance in excess of 700 people. 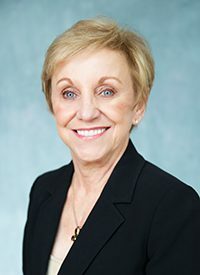 Over the years, Dottie has served on various boards in Baton Rouge, including the Downtown Development District, Chamber of Commerce, Child Abuse Council, and the Louisiana CCIM Chapter. Ms. Tarleton is a member of the International Council of Shopping Centers, the Retail Brokers Network, and is a graduate of Louisiana State University with a bachelor’s degree in Psychology. She received her CCIM designation in 1990.